Comment on W. S. Hudson, “The Weber Thesis Re-examined.” Church History 30, no. 1 (March) 1961: 100-102. In Relativism and the Study of Man, edited by Helmut Schoeck and J. W. Wiggins, 135-57. Princeton: Van Nostrand 1961. Reprinted in The Rebirth of Classical Political Rationalism 1989. 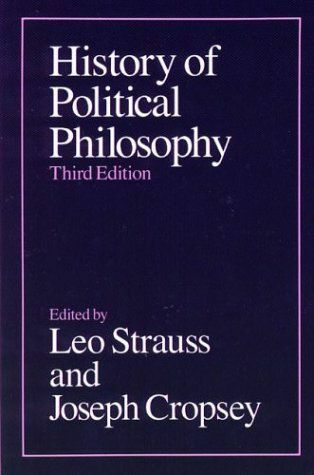 Reprinted in An Introduction to Political Philosophy Ten Essays by Leo Strauss. Edited with an introduction by Hilail Gildin. Wayne State University Press Detroit 1989. “Zu Mendelssohns ‘Sache Gottes oder die gerettete Vorsehung. '” In Einsichten: Gerhard Krüger zum 60. Geburtstag, 361-75. Frankfurt am Main: Vittorio Klostermann 1962. In Essays in the Scientific Study of Politics by Herbert Storing. .
Why We Remain Jews: Can Jewish Faith and History Still Speak to Us? of the University of Chicago on 4 February 1962. In Jewish Philosophy and the Crisis of Modernity. 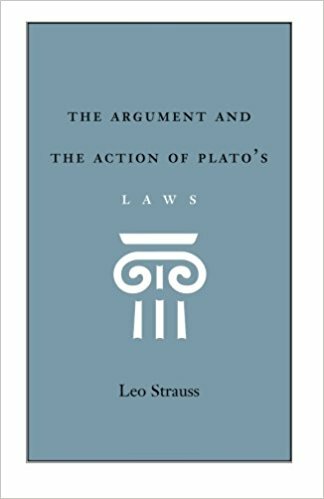 Essays and Lectures in Modern Jewish Thought by Leo Strauss. Edited by Kenneth Hart Green. State University of New York Press, Albany 1997. Page-Barbour Lectures at the University of Virginia in the Spring of 1962. 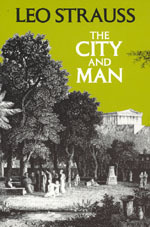 Extended and Published as The City and Man. University of Chicago Press, Chicago and London 1964. “Replies to Schaar and Wolin” (no. 2). American Political Science Review 57, no. 1 (March) 1963: 152-55. History of Political Philosophy. 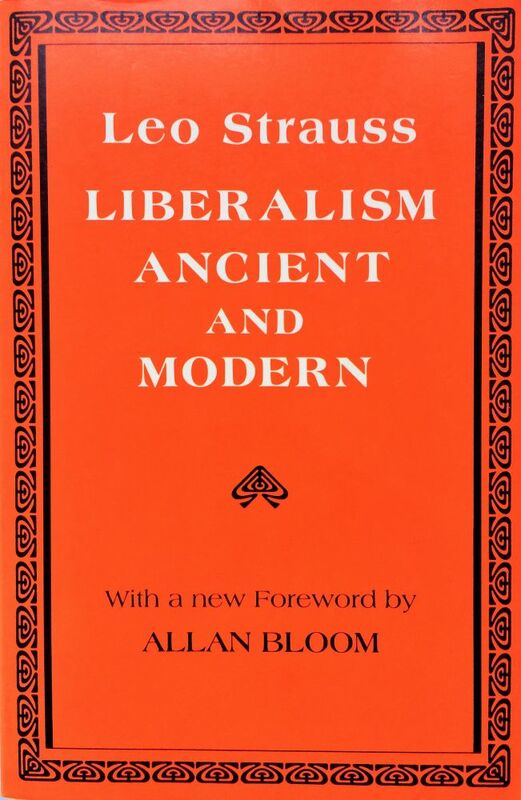 Edited by Leo Strauss and Joseph Cropsey. The University of Chicago Press, Cicago 1963. “The Crisis of Our Time” and “The Crisis of Political Philosophy.” In The Predicament Of Modern Politics, edited by Harold J. Spaeth, 41-54, 91-103. Detroit: University of Detroit Press 1964.
Review of C. B. Macpherson, The Political Theory of Possessive Individualism. Southwestern Social Science Quarterly 45, no. 1 (June) 1964: 69-70. “On the Plan of the Guide of the Perplexed.” In Harry Austryn Wolfson Jubilee Volume, 775-91. Jerusalem: American Academy for Jewish Research 1965.
Review of Samuel I. Mintz: The Hunting of Leviathan. Seventeenth-Century Reactions to the Materialism and Moral Philosophy of Thomas. In Modern Philology, Vol. 62, No. 3. (Feb., 1965), pp. 253-255. 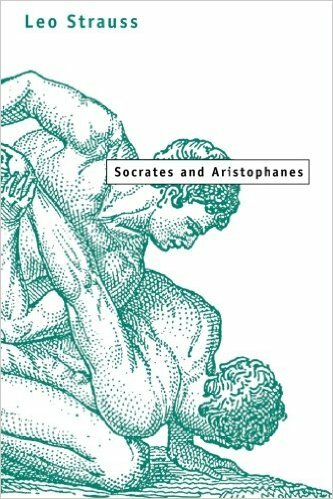 Socrates and Aristophanes. University of Chicago Press 1966. “Jerusalem and Athens. Some Preliminary Reflections.” The Frank Cohen Public Lecture in Judaic Affairs. The City College Papers, no. 6. New York: The Library, The City College, The City University of New York 1967. “Jerusalem and Athens. Some Introductory Reflections.” Commentary 43:45-57. 1967. Abridged from the Frank Cohen lecture. Liberal Education and Mass Democracy. In Higher Education and Modern Democracy: The Crisis of the Few and Many, ed. Robert A. Goldwin. Chicago: Rand McNally & Co., 1967, pp. 73-96. “John Locke as ‘Authoritarian,'” review of John Locke: Two Tracts on Government, by Philip Abrams, Intercollegiate Review, Vol. 4, No. 1 (November-December 1967). “A Note on Lucretius.” In Natur und Geschichte: Karl Löwith zum 70. Geburtstag, 322-32. Stuttgart: W. Kohlhammer Verlag 1967. “Notes on Maimonides’ Book of Knowledge.” In Studies in Mysticism and Religion Presented to Gershom G. Scholem, 269-83. Jerusalem: Magnes Press, Hebrew University 1967. “Natural Law.” International Encyclopedia of the Social Sciences 1968. “Greek Historians.” Review of Metaphysics 21, no. 4 (June) 1968: 656-66. “Machiavelli and Classical Literature.” Review of National Literatures 1, no. 1 (Spring) 1970: 7-25. “On the Euthydemus.” Interpretation 1, no. 1 (Summer) 1970: 1-20. St. John’s College, Annapolis, Maryland, on 30 January 1970. 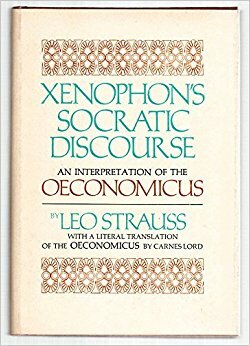 Xenophon’s Socratic Discourse: An Interpretation of the “Oeconomicus”. Cornell University Press, 1970. “Philosophy as Rigorous Science and Political Philosophy.” Interpretation 2, no. 1 (Summer) 1971: 1-9. Xenophon’s Socrates. Ithaca: Cornell University Press, Ithaca 1972. “Machiavelli.” In History of Political Philosophy, 2d ed., edited by Leo Strauss and Joseph Cropsey. Chicago: Rand McNally 1972. “Introductory Essay.” In Hermann Cohen, Religion of Reason Out of the Sources of Judaism, xxiii-xxxviii. New York: Frederick Ungar 1972. Jewish Philosophy and the Crisis of Modernity. Essays and Lectures in Modern Jewish Thought by Leo Strauss. Edited by Kenneth Hart Green. State University of New York Press, Albany 1997.